Trump campaign social media director Dan Scavino, Jr. raised the possibility of the Trump campaign holding a rally on Martha’s Vineyard during President Barack Obama’s two week vacation there that starts on Saturday. 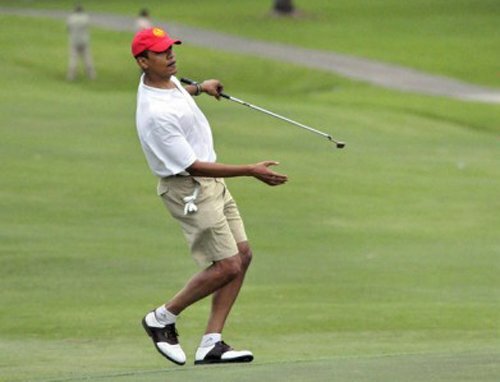 President Obama golfs during annual Martha’s Vineyard vacation. Scavino made the statement on Twitter in response to CBS News reporter Mark Knoller’s tweet about Obama’s vacation plans. Today at the WH: Pres Obama has no events or appearances on his public schedule. Leaves tomorrow for 2 weeks in Martha's Vineyard.